We're back with our favorite pins of the week! After you're done browsing these pretty images, we might suggest checking out the digital version of our holiday catalogue! It's interactive, shoppable, and just as beautiful as the real thing. As the weekend (and Thanksgiving!) approaches you might find yourself playing host to family and friends. Here's our guide to making that a breeze for you, and a luxury for them. 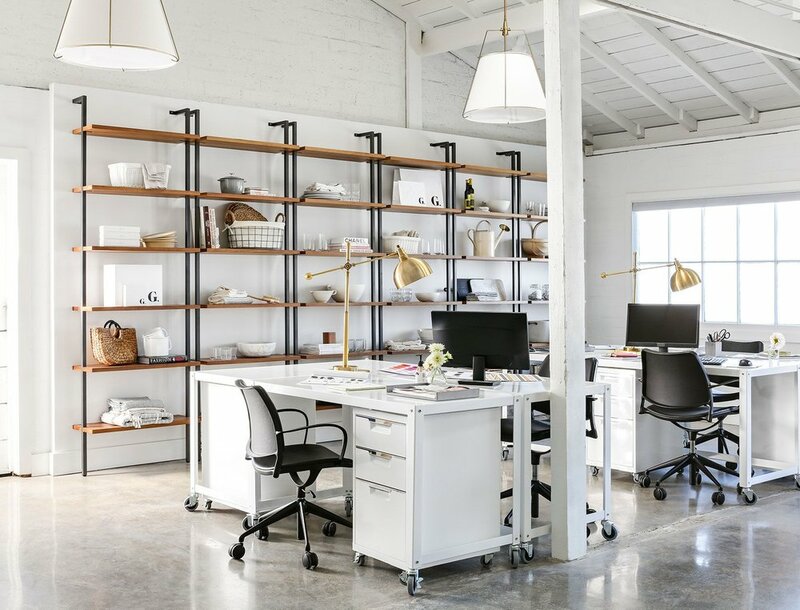 Not surprised that the Goop HQ is incredible. This charming space used to be home to actual chickens, taking "farmhouse" to the next level! 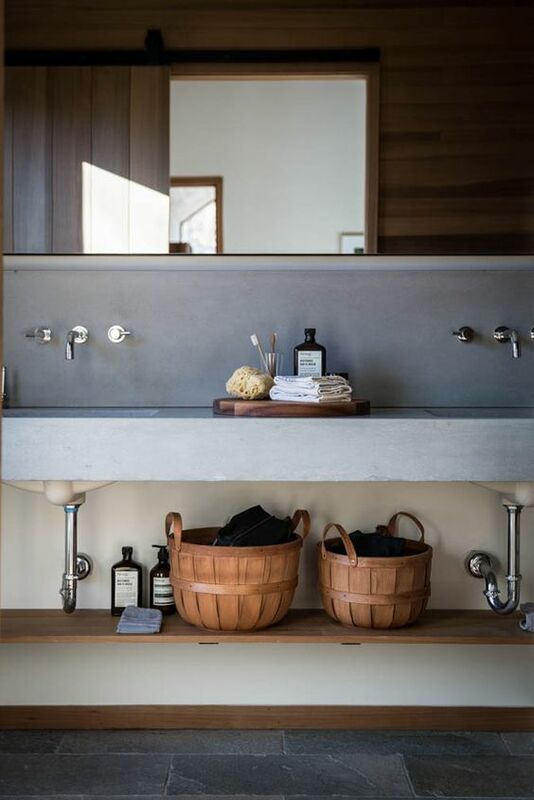 If we were staying the weekend, we wouldn't mind having this bathroom as part of our stay. This Brick and Wonder getaway inn Upstate New York is the dreamiest. 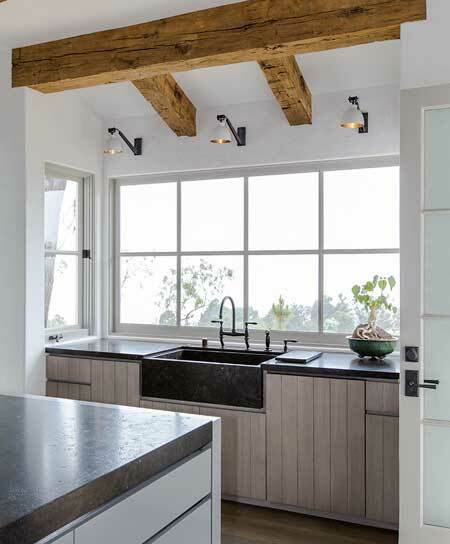 Natural wood beams! Paneled cabinetry! Dark countertops! This space is daring while remaining perfectly minimalist. Design by Urban Electric Co. 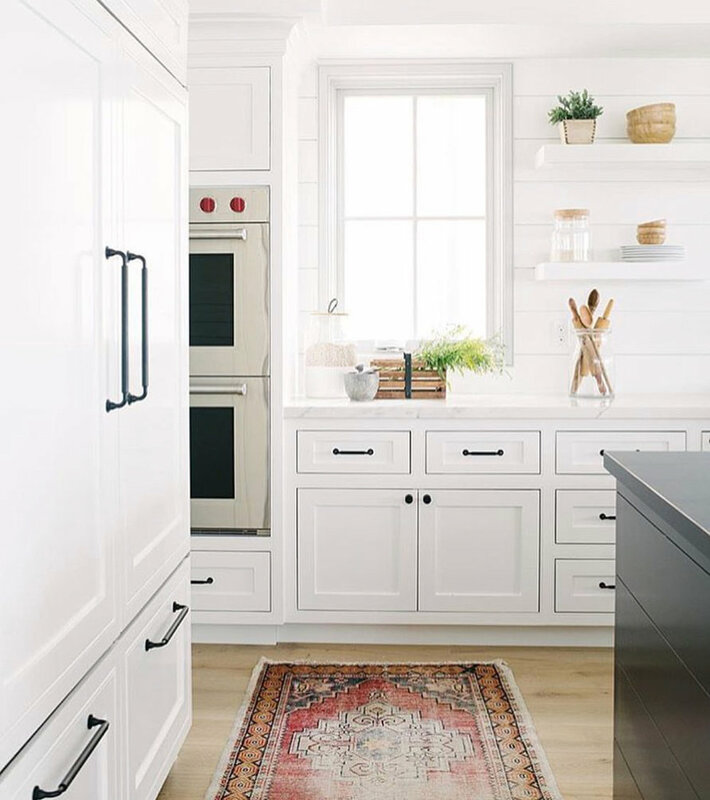 This bright kitchen is bright, clean, simple, and made perfect with that vintage rug. We hate to include three kitchens in a row, but how could we ignore this backsplash and bold hood? We love the use of black in such a bright space.